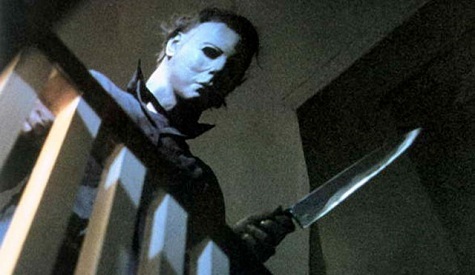 Home › 70's Cinema › New “Halloween” Rocks! Jamie Lee Curtis Is Back! America’s Scream Queen Owns “Halloween” And The “Terror Train”! Jamie Lee’s Halloween Gift For Michael Myers! It’s here – the latest “Halloween” film – and the reviews are great! The best part: America’s Scream Queen has grown up! Jamie Lee Curtis became America’s “Scream Queen” in 1978 when the original film was released, and now she is back in the “Halloween” family, returning as her character Laurie Strode, as the film sets up her final confrontation with Michael Myers! 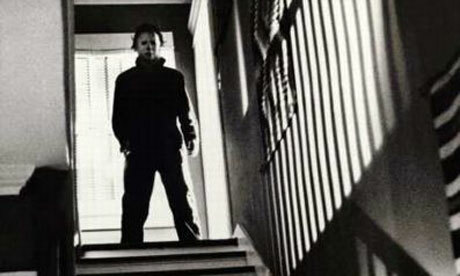 Myers is, of course, the masked figure who has haunted her since she narrowly escaped his killing spree on Halloween night four decades ago. I can’t wait to see this new “Halloween”, and the first reviews have been great…so let’s celebrate by looking back at the first film, and showcase another of Jamie Lee’s great slasher films from the 80’s as well! 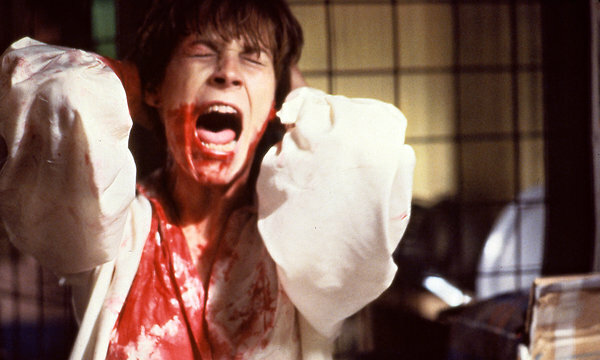 When “Halloween” was released in 1978, it made Jamie Lee Curtis a star – after all, she screamed her way into our hearts while also fighting back – something that most female characters didn’t do in a film, they just screamed and died! Here is some great trivia, provided by IMDB: Due to “Halloween”‘s shoestring budget, the prop department had to use the cheapest $2 mask that they could find in the costume store: a Star Trek (1966) William Shatner mask. They later spray-painted the face white, teased out the hair, and reshaped the eye holes! Shatner admitted that for years he had no idea his likeness was used for this film. It was only during an interview that someone mentioned his mask was being used. He has since stated that he is honored by this gesture! Michael Myers is one of cinema’s great psychos, and what makes “Halloween” work so well is that you truly root for Jamie Lee to survive – a tribute to how well she acted in her movie debut – which IMDB says paid her $8,000 for starring in the film! The plot of “Terror Train” is brilliant in its simplicity: A masked killer seeks revenge against six college kids who were responsible for a prank gone wrong three years earlier – and lucky for the killer – the kids are throwing a large New Year’s Eve costume party aboard a moving train! “There are certain things a heroine in a thriller has to be. She has to be vulnerable, so that the audience identifies with her and is rooting for her. But she also has to have an enormous inner strength to overcome the evil, or terror, that is pursuing her. I play the same kind of character as I did in other films. But Alana – the girl I play – is stronger and more defined”. Bravo to Jamie Lee Curtis for finding more depth of character, even in straightforward horror films! Yep, they don’t make them like THIS any more – click here to see why! Let me know if you plan to see the Jamie Lee – Michael Myers battle! ‹ Budapest At Night! The Golden Glow Of Hungary’s History From The Danube River! Jamie’s return guarantees I will watch this one! Indeed, Pete, and reviews are really good – they returned the series to its former glory – the original is a tradition to watch this month!